Vodka brand comes to America: Who’s handling advertising? Steve’s breakdown: Infinium Spirits is the client and Koskenkorva Vodka is the brand. And by the way, make a good impression and there are a few more brands Infinium might want you to work on. ALISO VIEJO, CA: Finnish alcohol group Altia is to enter the competitive US vodka market after signing a distribution deal in the country for its Koskenkorva brand. The Government-owned company said today it has partnered with California-based Infinium Spirits to launch Koskenkorva Vodka in the US. The vodka is a key export brand for Altia and is already available in almost 30 countries. Speaking about today’s announcement, Altia’s export head, Janne Halttunen, said the company is looking to build the brand and distribution in the US “with a long-term view”. Koskenkorva Vodka will launch in the country with its 40%-abv Original expression in both 75cl and one-litre sizes. The US vodka market has been disrupted over the past few years by the growth of Fifth Generation’s Tito’s Handmade Vodka. 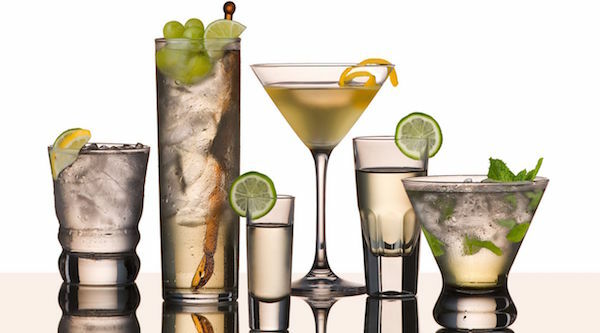 Sales for the brand have rocketed, impacting some of the biggest names in vodka: a report in July claimed that Tito’s has almost overhauled Diageo’s Smirnoff in US retail sales share.